HIMOINSA manufactures diesel generator sets with a wide power range that are available for sale, from 3kVA up to 3,000kVA. They offer a safe, powerful and reliable response to increasingly demanding energy needs. The equipment can be used to supply power continuously, for peak shaving or as emergency power in the industrial, commercial and residential sectors. 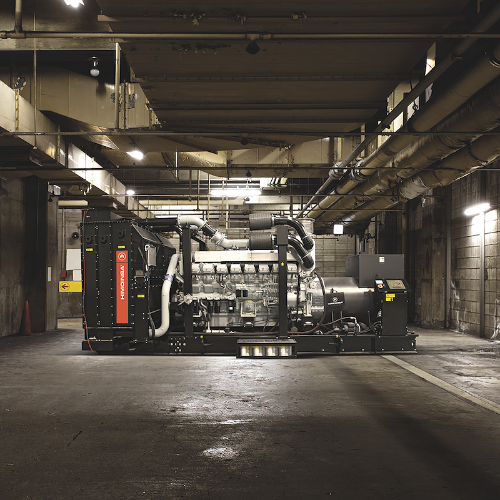 Learn more about our diesel generator sets below. Time never stands still when it comes to power generation. Thousands of projects are designed every day in the industrial sector. It is estimated that the power demand in the industrial sector will amount to 201,847 MW by 2020, which will account for 70% of the overall power required from diesel generator sets. 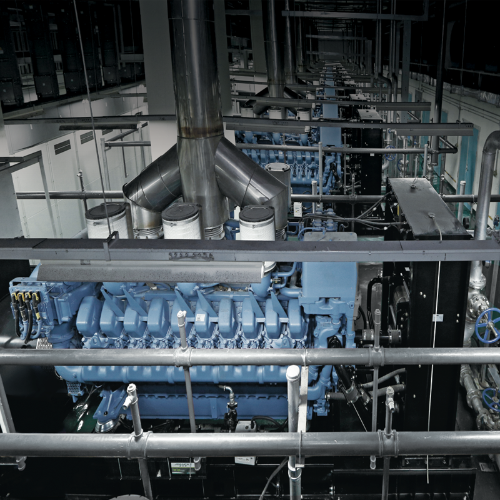 The heavy range of generator sets are the power workhorses that institutions, hospitals or financial organisations need. A power outage of a few minutes can incur substantial financial losses for a bank or have serious consequences for the safety of patients in a hospital. High-power diesel generators are required that can supply emergency power to a building in the financial hub of Geneva when a power cut occurs, or continuous power when needed to carry out electrical maintenance tasks in a canning factory that cannot stop production. 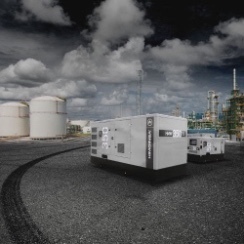 HIMOINSA generator sets for the rental sector combine the robustness and versatility that rental companies need. 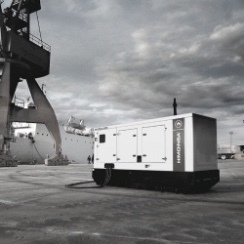 Its equipment is designed for use in applications of all kinds: from generator sets for construction, for the mining sector or the oil sector, to diesel generators for concerts and large events, such as the football World Cup, Formula 1 or even the Olympic Games, which require gigawatts of power on demand for limited periods. HIMOINSA diesel generators for sale are designed to cover medium voltage electricity needs. This type of configuration is a profitable and trusted solution in critical sectors such as hospitals, refineries, petrochemical plants, the steel industry and similar areas. The key feature of HIMOINSA portable generators for sale is that they are very easy to use. As they are used in households and small shops by non-specialist users, their design has to be simple and lightweight. 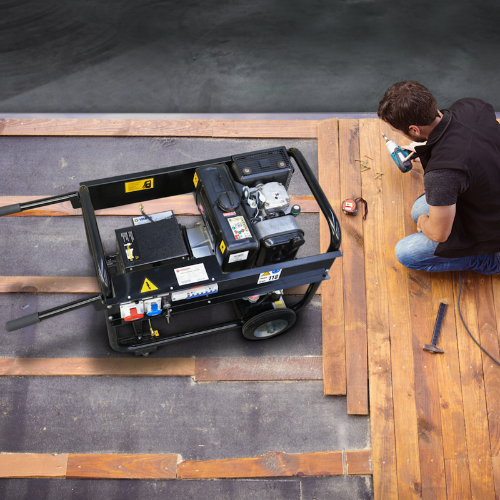 HIMOINSA offers 30 different models of portable generators sets ranging from 3kVA to 10.6kVA, which incorporate Lombardini, Hatz or Yanmar engines. All models run on diesel and, depending on the engine, have electric or manual start-up. Globally, the population's basic energy needs have continued to grow in recent decades and diesel generator sets have established themselves as a key part of the whole energy arsenal. They supply power that never fails. They supply power where there is no connection to the electricity grid, where the connection is inadequate or when, where there is a connection, there is a power cut. For stand-by applications, diesel generators have an unbeatable response time. They can start up with a 100% load response in just ten seconds after any grid outage and prevent any interruption in supply from affecting the normal running of a factory, hospital or data center on which a public institution depends. Firms like large rental companies are looking for diesel generators with increasingly low running and maintenance costs, such as HIMOINSA's diesel generator sets. Their increasingly efficient design, with low fuel consumption and longer maintenance intervals, make them highly attractive for PRP applications. In addition, in the production of all of its equipment, HIMOINSA uses the most modern technology to product efficient machines, not just in terms of environmental pollution, but also in terms of noise reduction. All soundproofed versions incorporate high-density rock wool with a thickness of at least 50 mm, and they are manufactured with DD and DC steel under European standards EN 10111 and EN 10130.